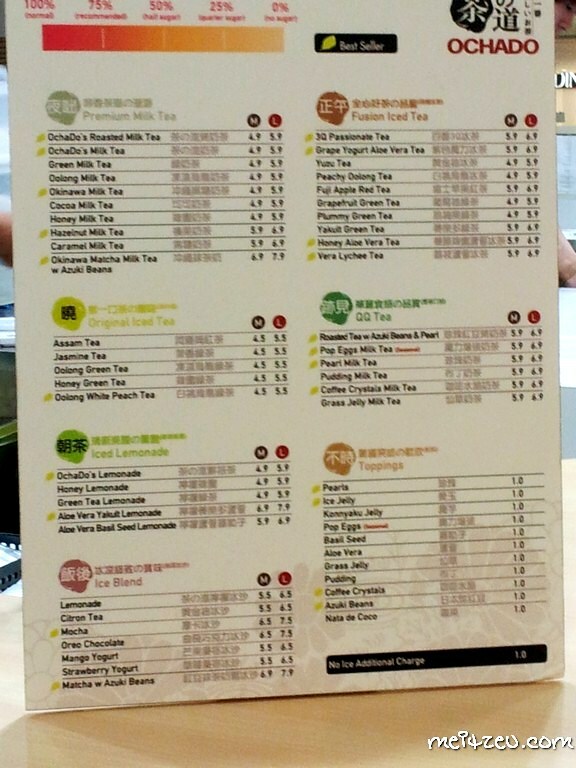 There's a new beverage franchise outlet in town since months ago! 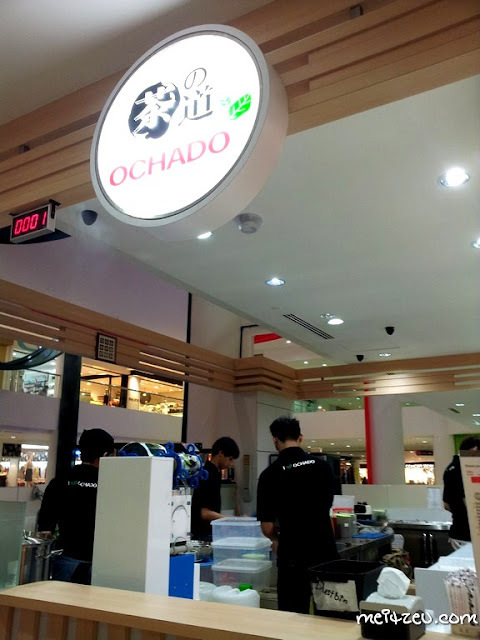 Located at Suria Sabah and has been a hot topic by one person to another. Few weeks ago, mom requested us to go to Sunday Market, Gaya Street before she went to Europe and after the walk, we ended our day at Suria Sabah. We reached Suria Sabah approximately 10.00am., as there were no customer at their counter, might as well I buy a cup to try! There was no Roasted Milk Tea available (it was still early and they haven't prepare the tea yet), therefore I bought Pop Egg Milk Tea. Pop Eggs are made of Caramel! The sweetness of it blend together with the Japanese flavoured milky tea for sure suits me well. 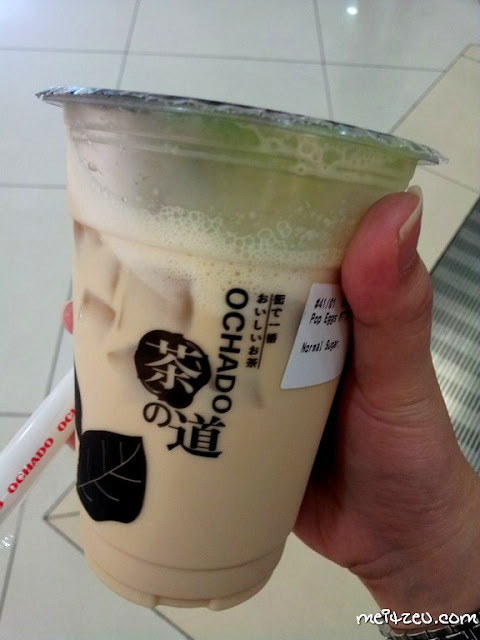 :) If compared with our milky tea by Yoyo Cafe (A well established Taiwanese beverage outlets), I definitely choose Ochado's Milky Tea and next I wanna try the Roasted Milk Tea that they are famous with! Quality control always be an issue to solve. Facebook Page : Click here. Sounds very good. I must try it sometime. 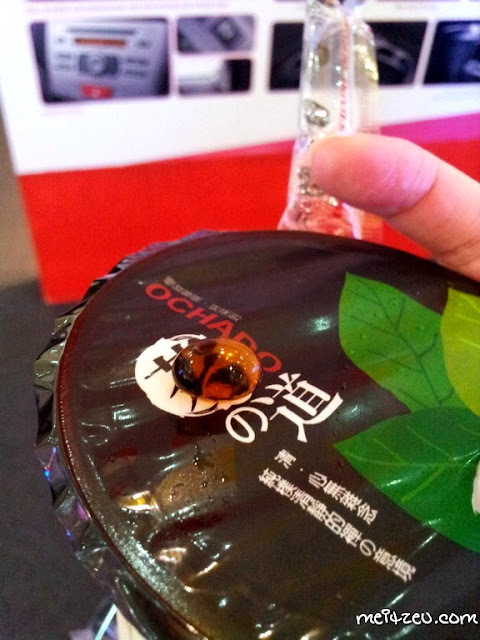 I saw the same at tokyo street, pavilion kl! hehehe :D Different ppl, different taste buds! :) Make sure you go there early, coz I heard they always full house! apart from vanilla, milk-tea is one of my fave beverages. Will need to try this one out. HEheh :D Now only I know it is originated from Japan. I heard so much good reviews on Ochado, can't wait to give it a try soon. Long time no see, Meitzeu, I like your new blog design.